This 21- chord OS11021FBWE autoharp plays in eleven different keys. The patented chord bar configuration makes it easy to learn and to continue to play for years to come. The burl walnut finish has been a favorite of master furniture makers for centuries. 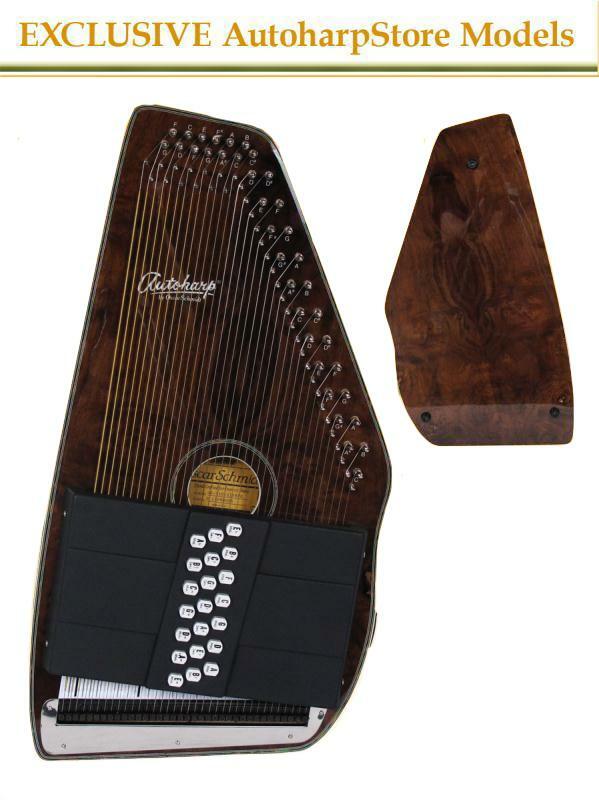 Exclusive to the world’s largest AutoHarp dealer, AutoHarpStore.com. Acoustic or Electric playing ability. Burl walnut is not seen as often as it should. It makes its appearance in the grand dining halls of great homes, in the museums of Europe, and now on the OS11021FBWE autoharp. Burl walnut has a smoky design that is reminiscent of passionate woodworkers from generations past. Walnut has an amazing acoustic sound and is a great wood for both endurance over time and a quality sound. With all the finest qualities wished to be found in an autoharp; this purchase will be a family heirloom. Its design will be admired for taste and class. It is exclusive to the AutoharpStore.com and will be a piece that will grow in value as the music continues to flourish and the instruments’ that bring forth this wonderful sound continue to be sought after.